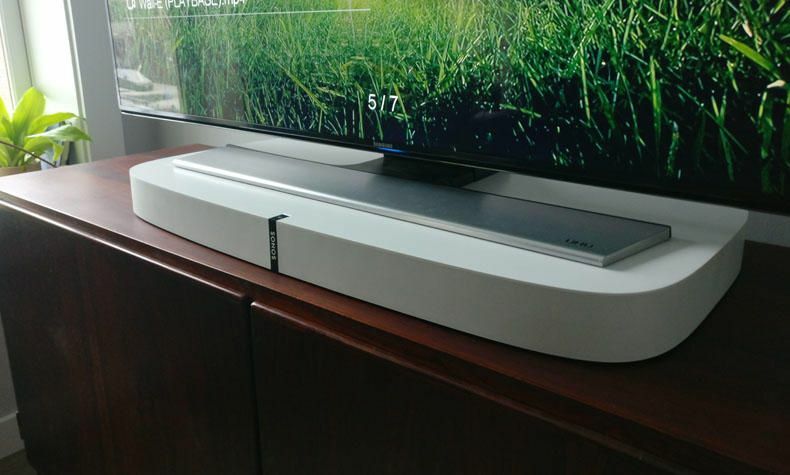 Widescreen sound and music streaming for TVs on stands and furniture. Two-in-one. 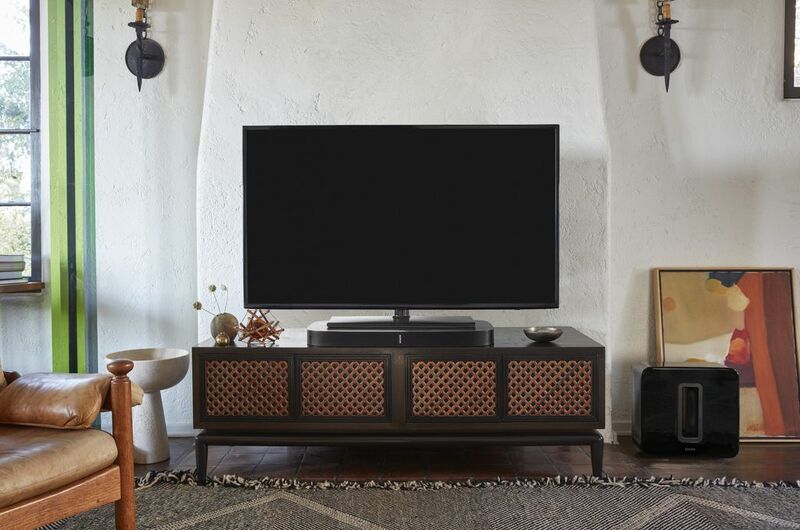 Full-theater sound for your TV. Streams music, too. Low profile design that practically disappears. Sound you just can’t miss. Securely supports TVs up to 77 lbs (35 kg). Simple two-cord setup. One for power, one for your TV. 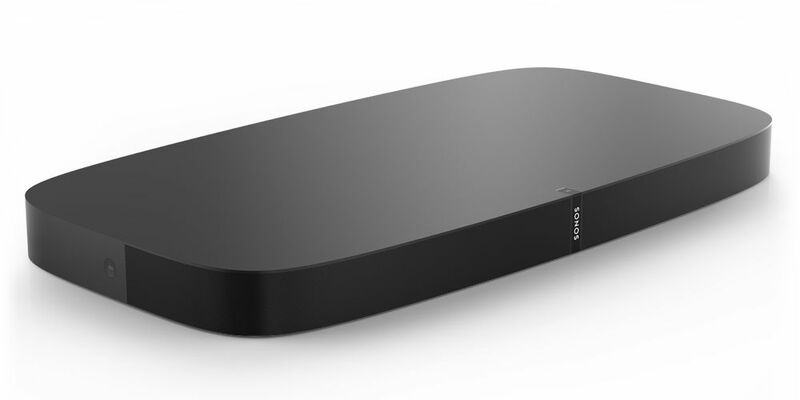 Add SUB and two PLAY:1 rears for wireless 5.1 surround sound.